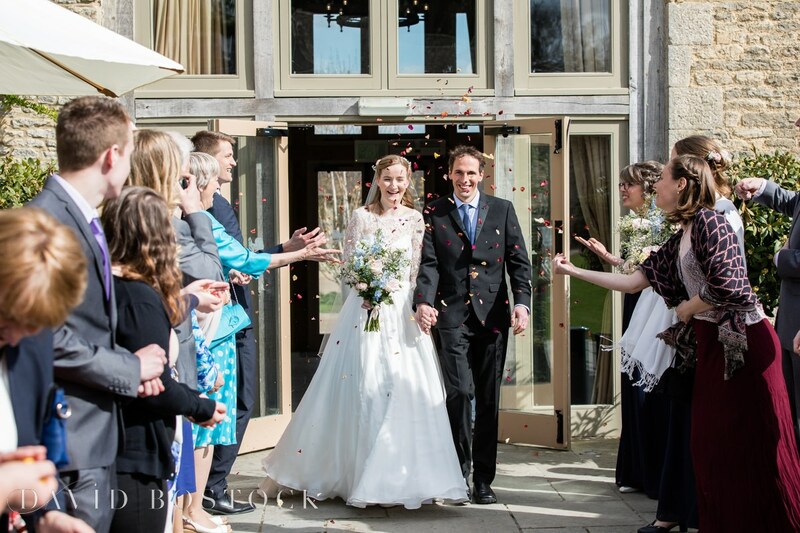 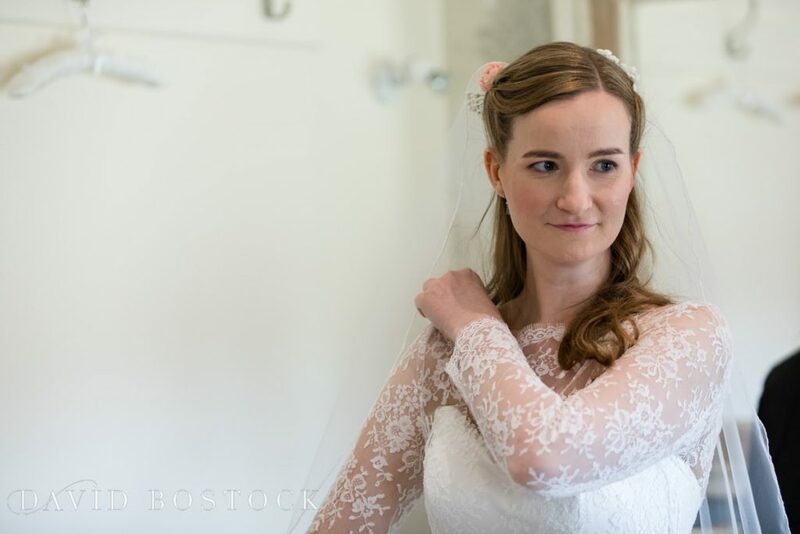 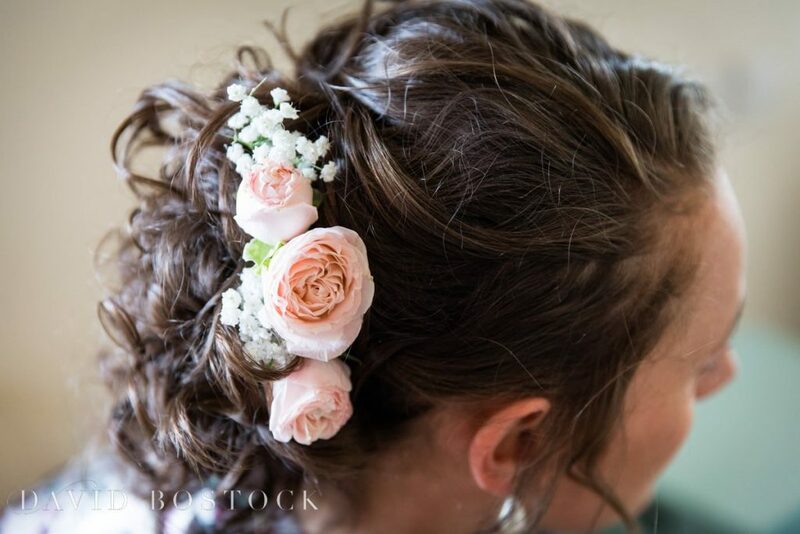 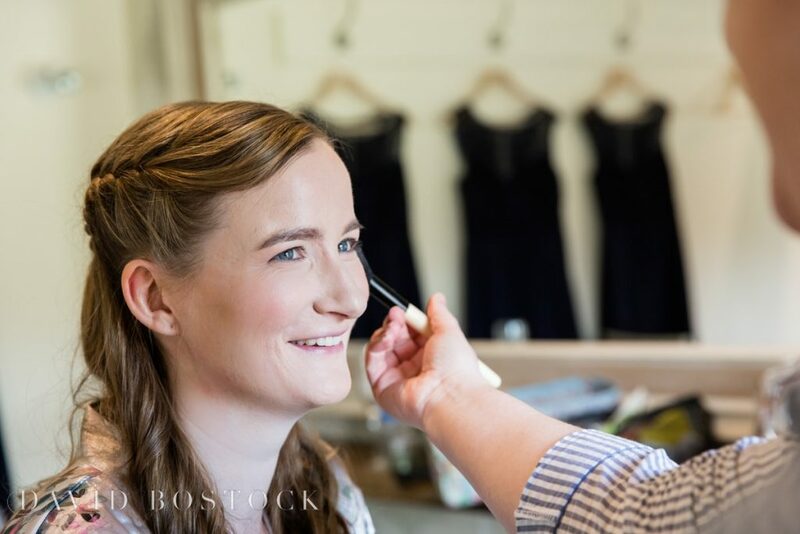 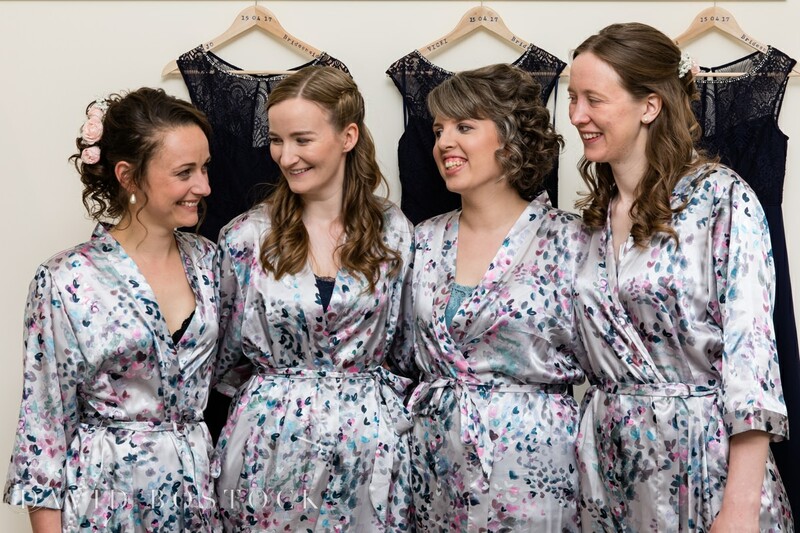 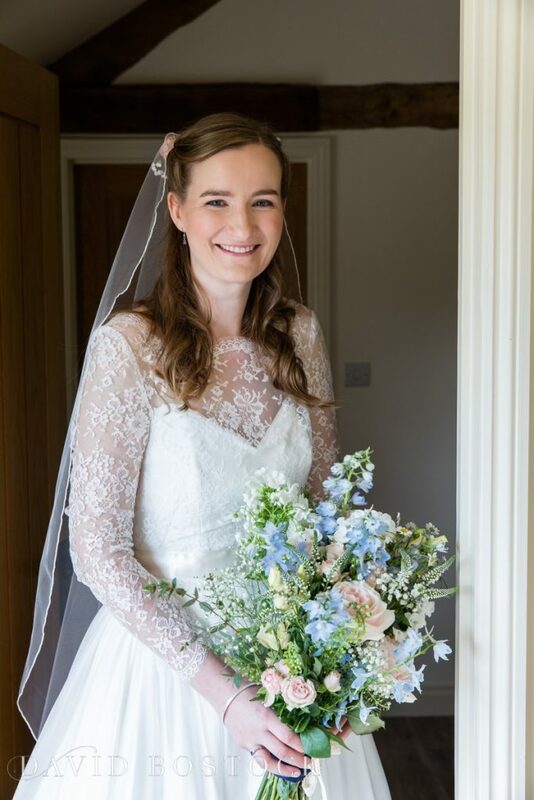 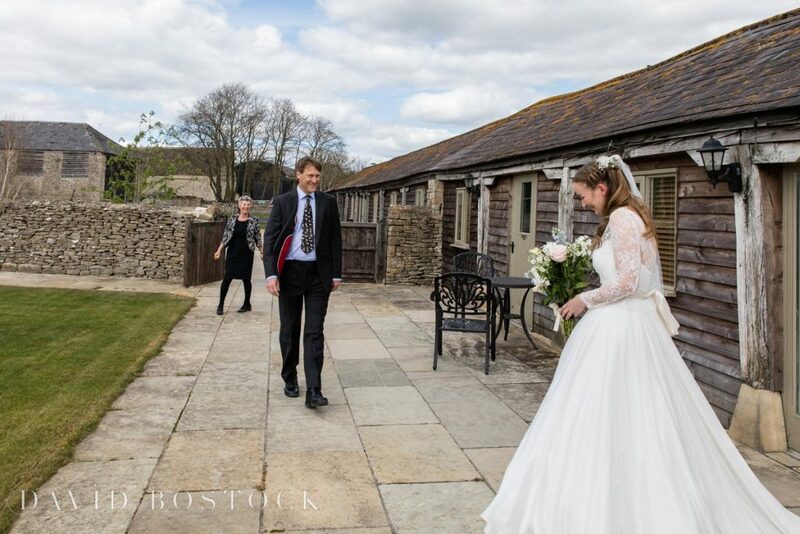 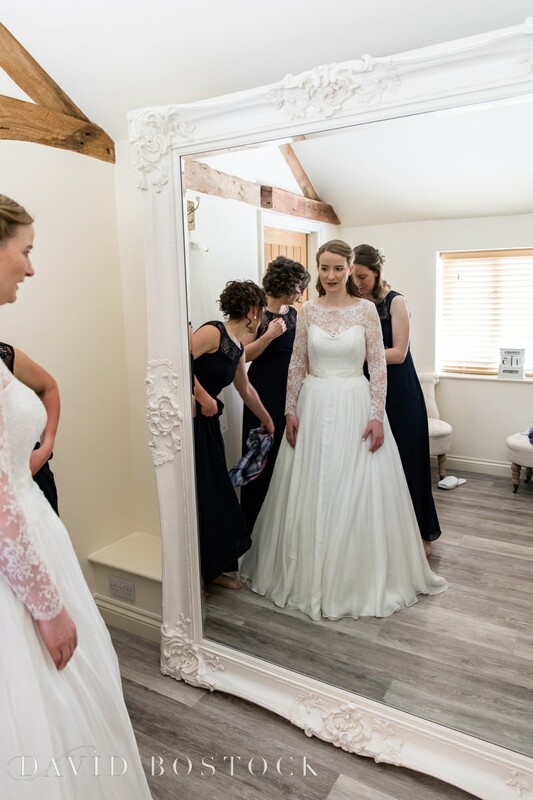 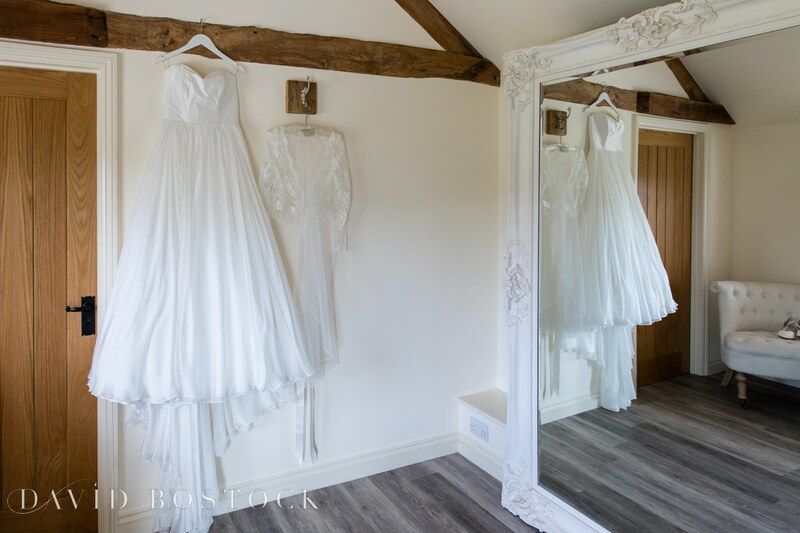 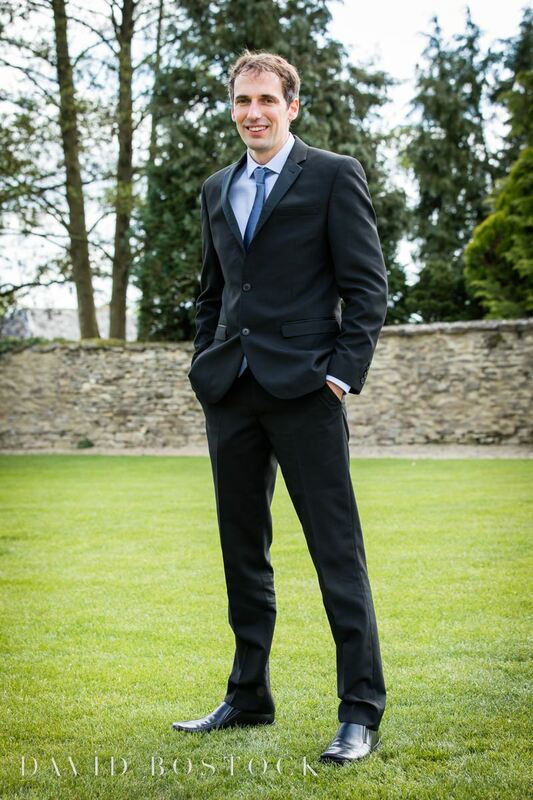 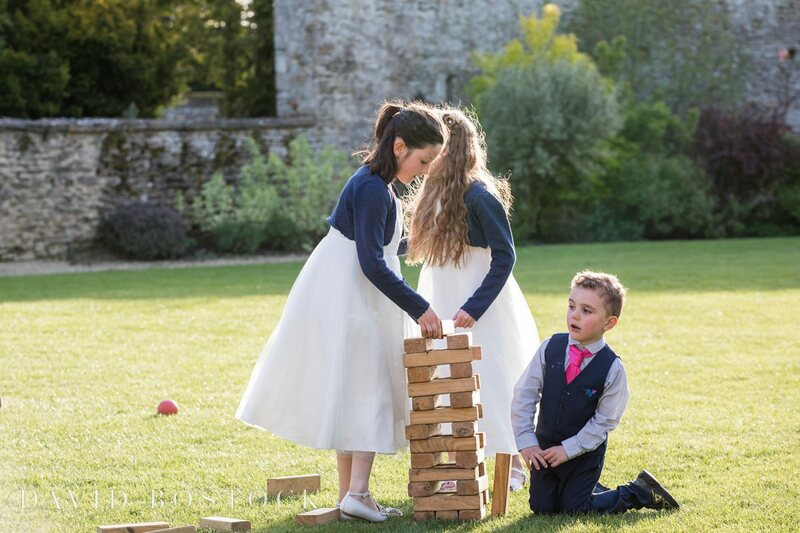 Caswell House is the venue suited to every season and Sophie and John’s Caswell House Spring wedding is definitely proof! 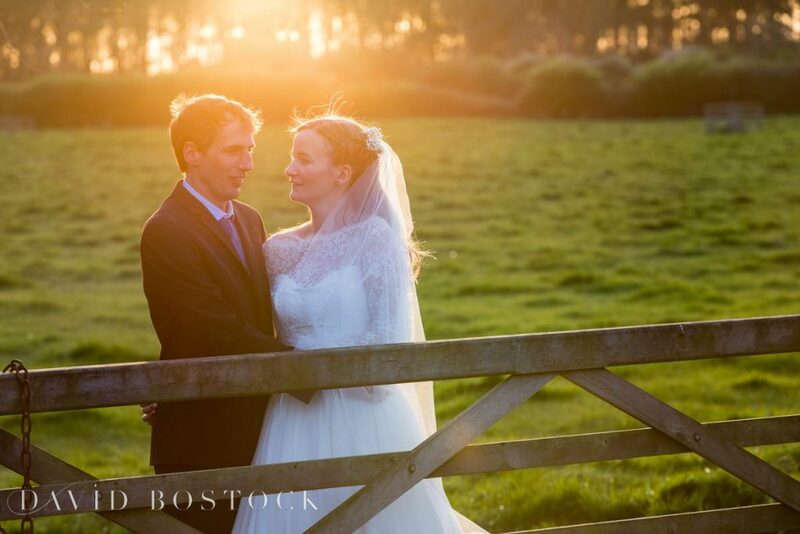 Sophie and John were married on a crisp April Saturday, with the sun shining and a gorgeous sunset to complete the perfect day. 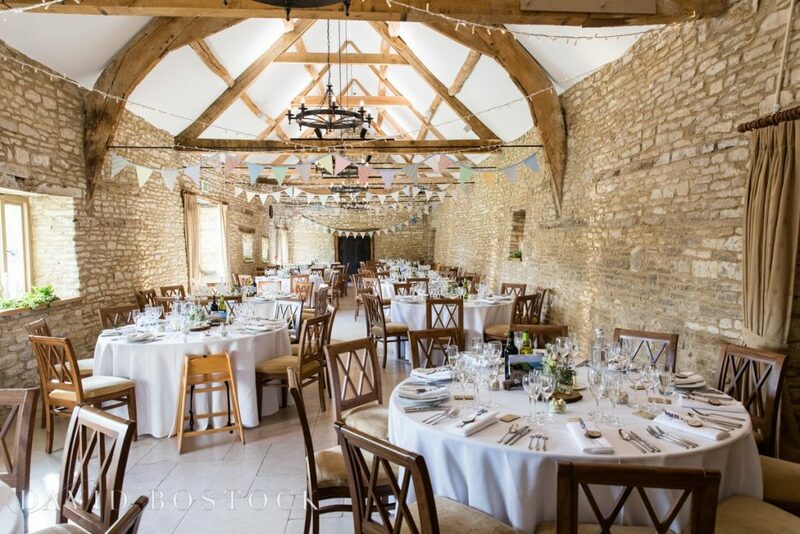 With one of the most stylish converted barns I have seen, Caswell House really does top the rustic chic wedding venue hot list! 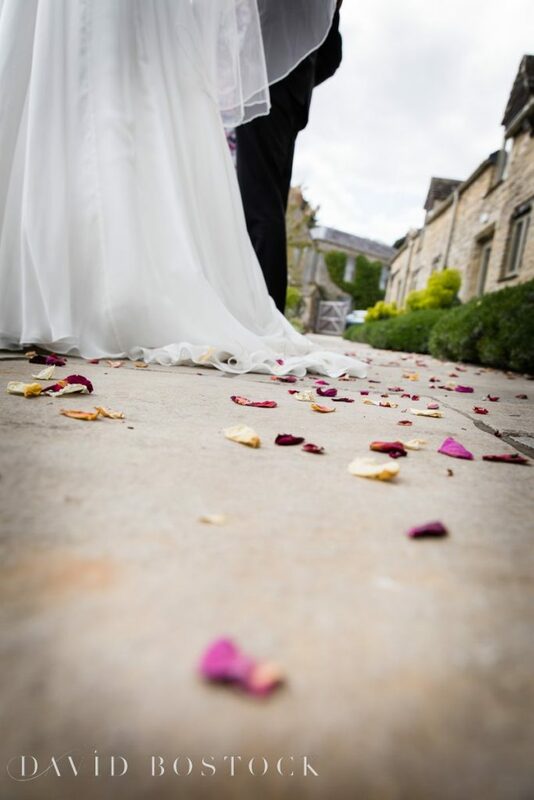 Once you add in the landscaped grounds, sun terrace and luxurious wedding suite it really is a no brainer!. 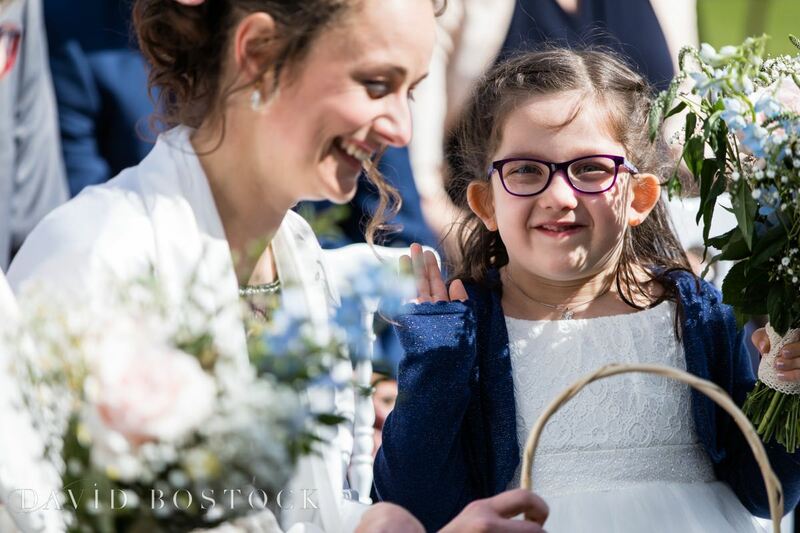 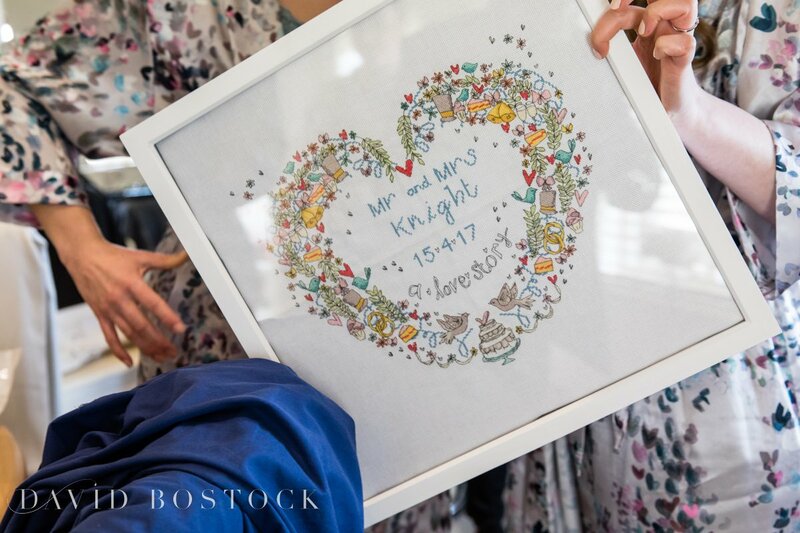 The couple definitely hit the jackpot with the weather, which meant their dream of an outdoor ceremony was made a reality. 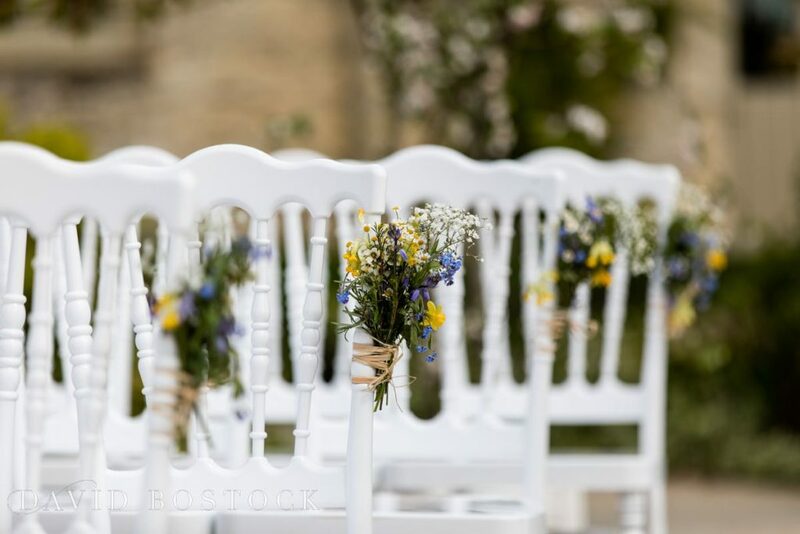 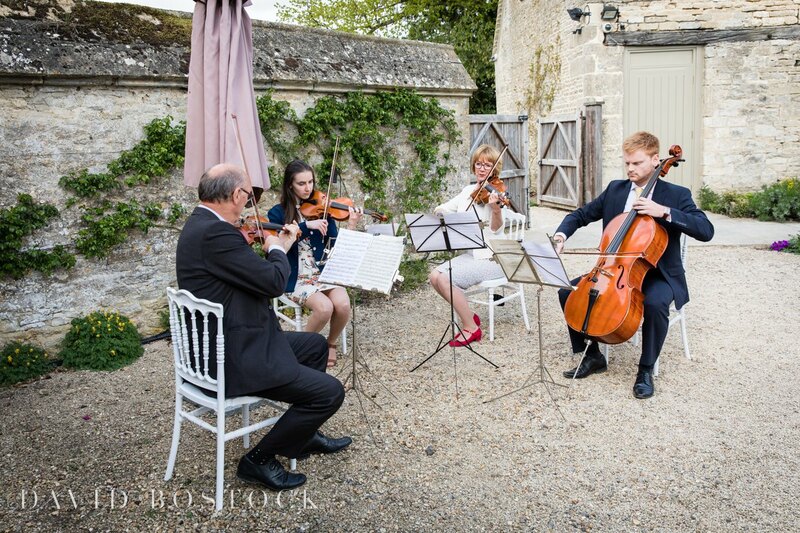 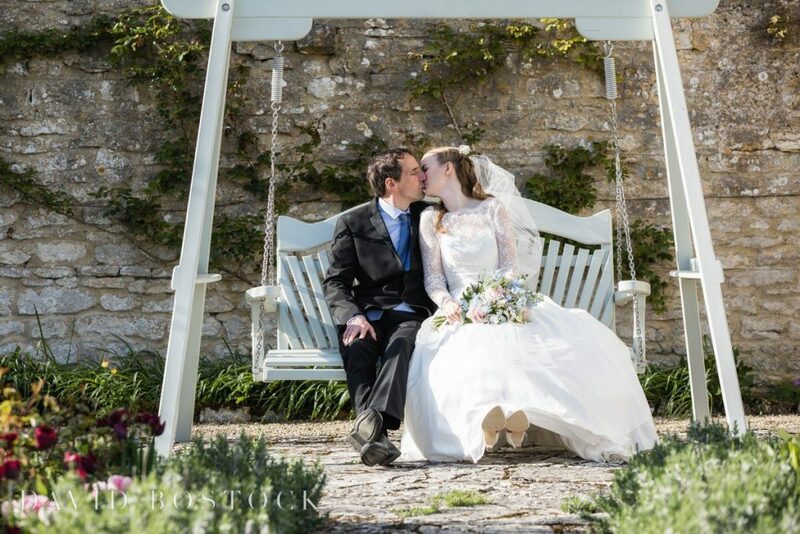 Flower adorned chairs lined the lawn, whilst the guest were serenaded by a string quartet as Sophie walked down the aisle. 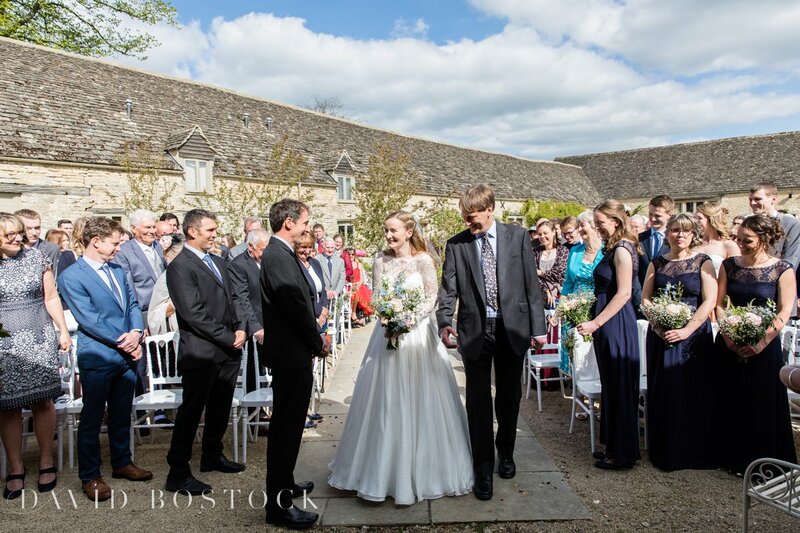 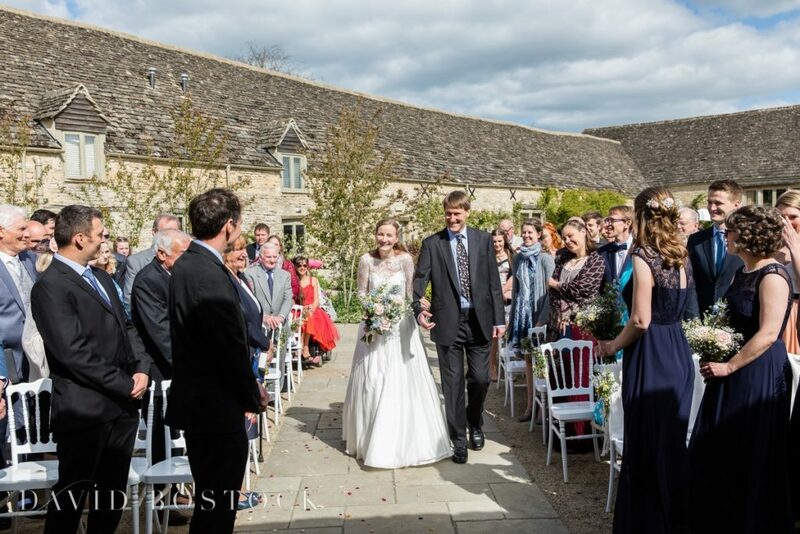 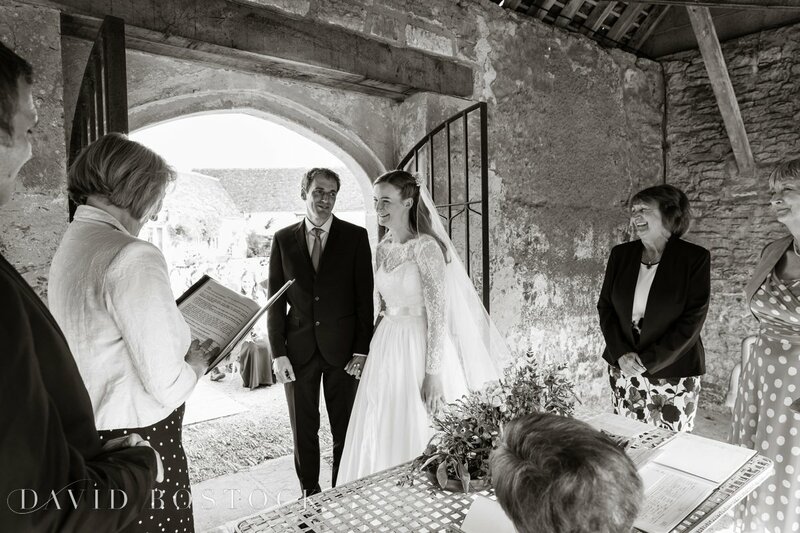 The vows themselves were exchanged just under the very picturesque ancient archway of the manor house’s loggia. 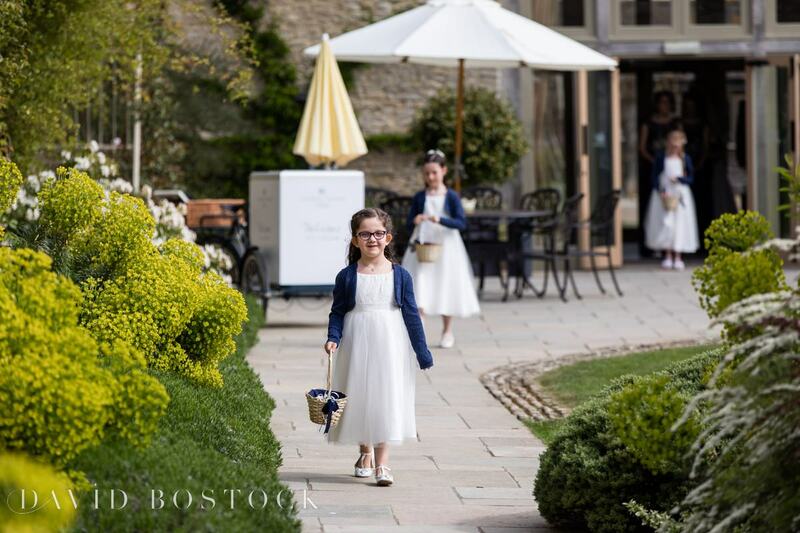 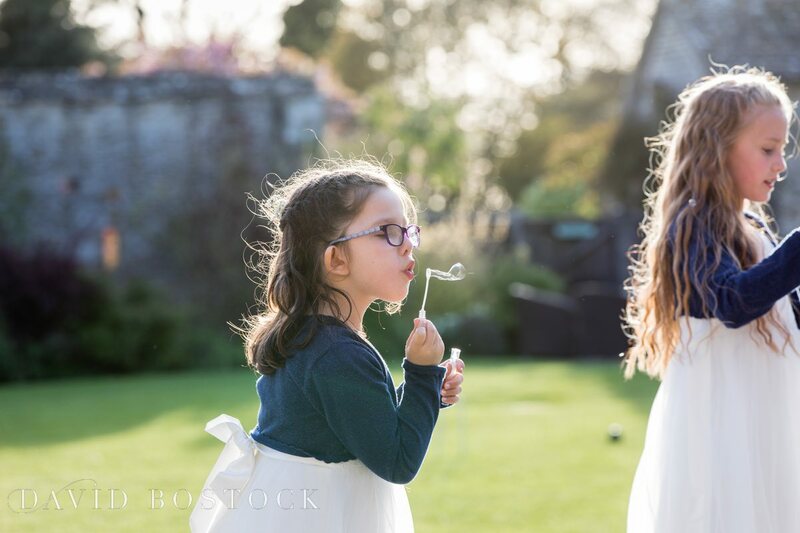 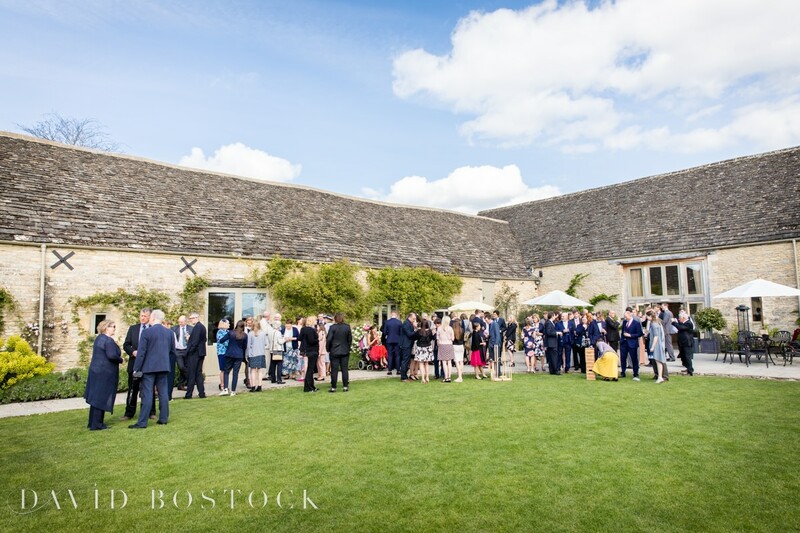 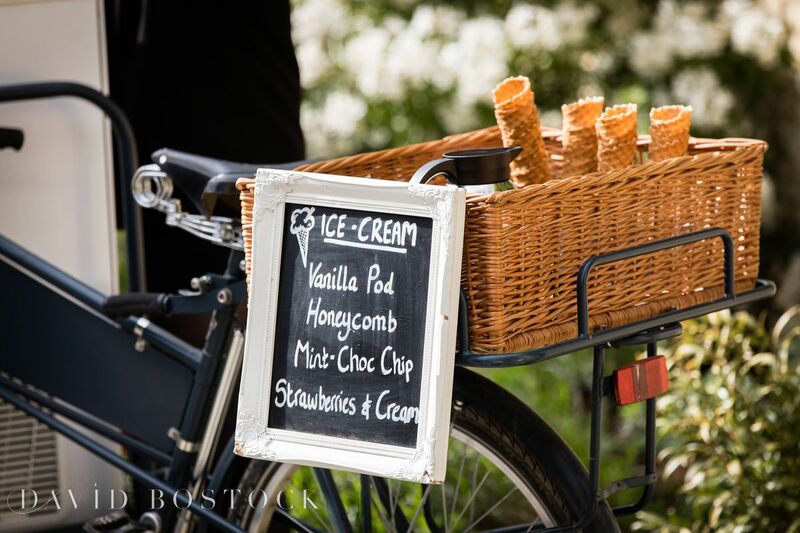 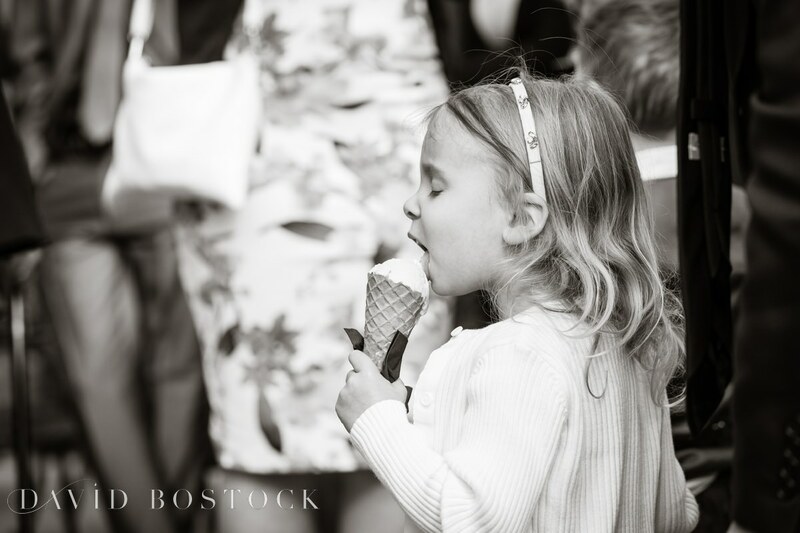 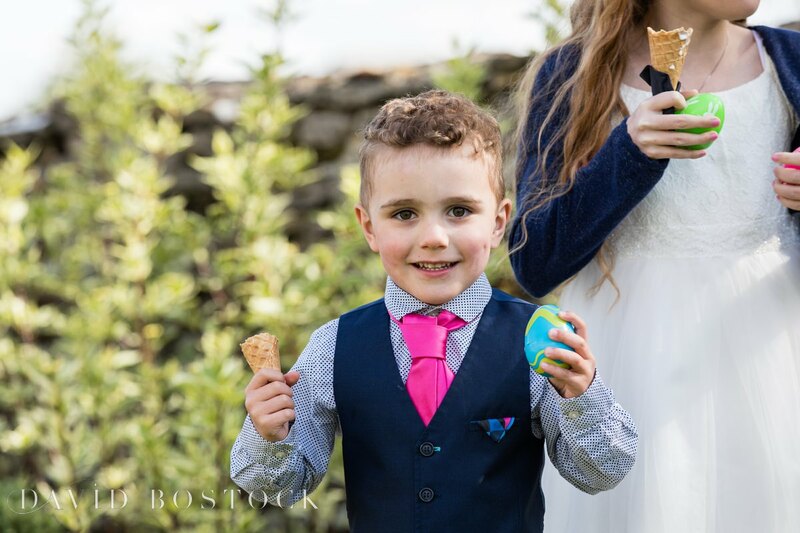 After the lovely ceremony guests were treated to ice cream cones and garden games before moving inside for a spectacular Italian style feast. 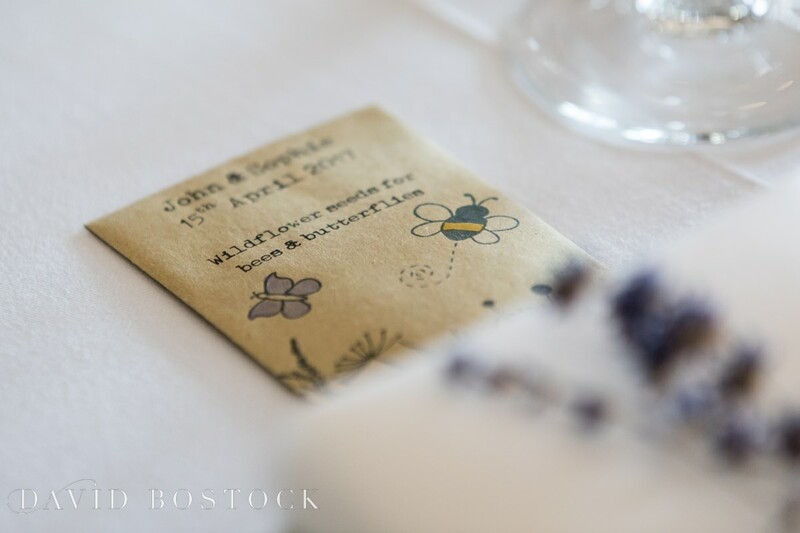 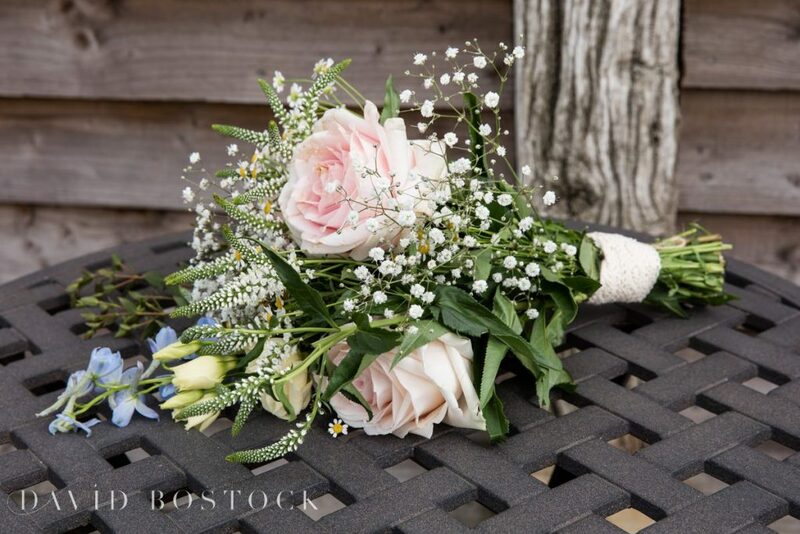 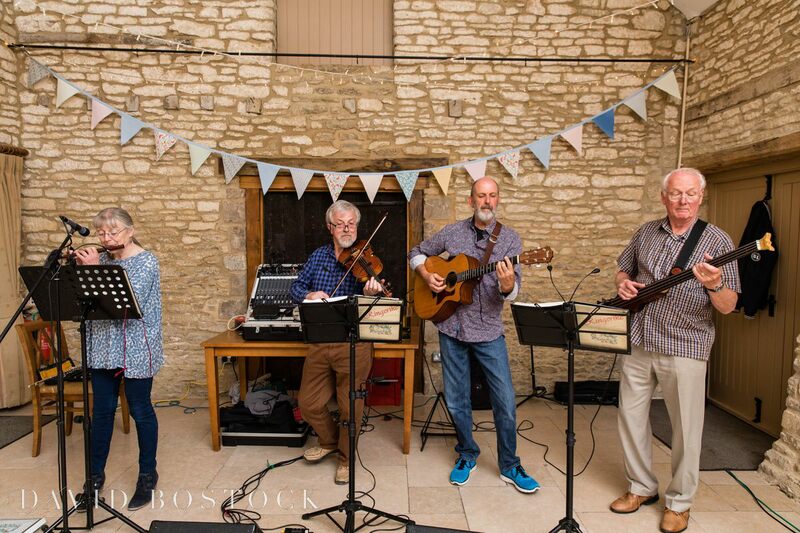 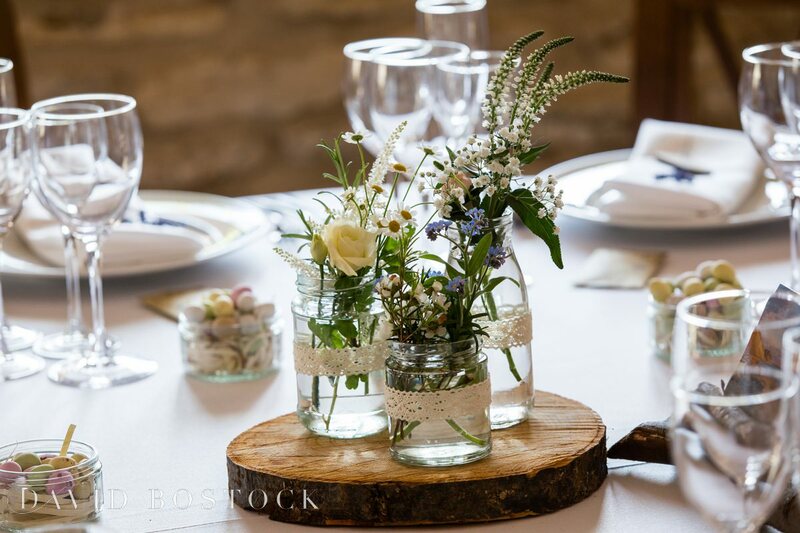 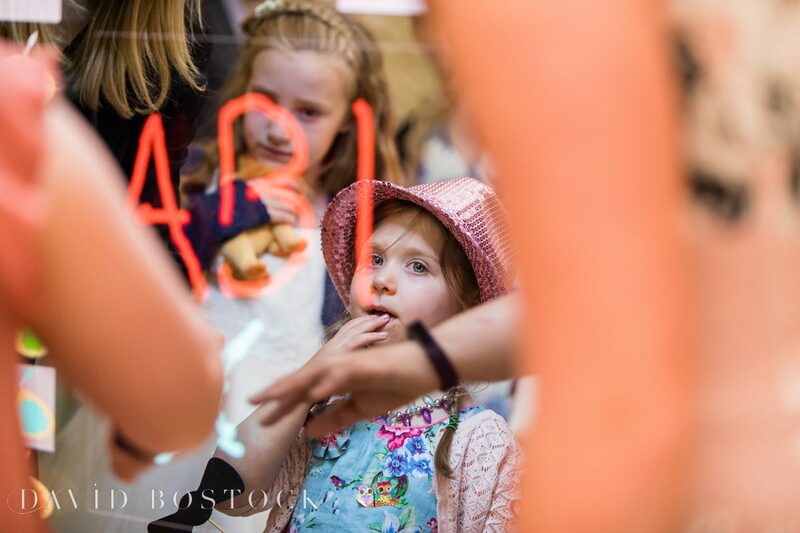 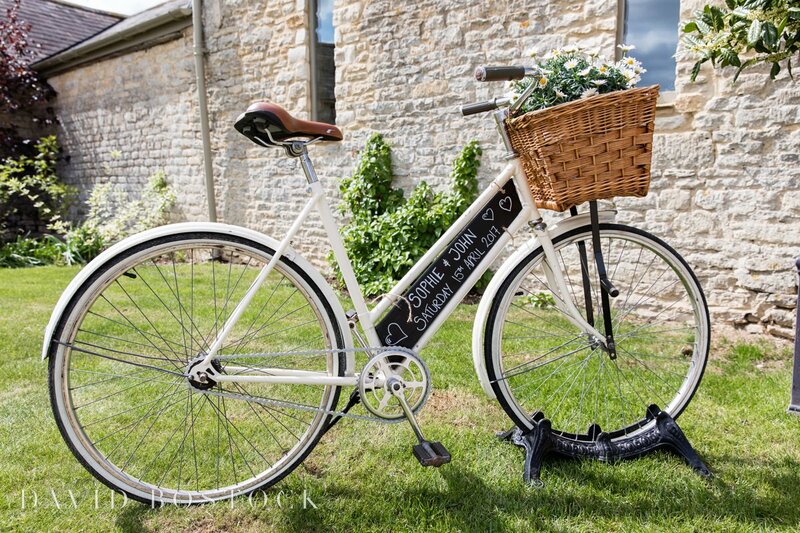 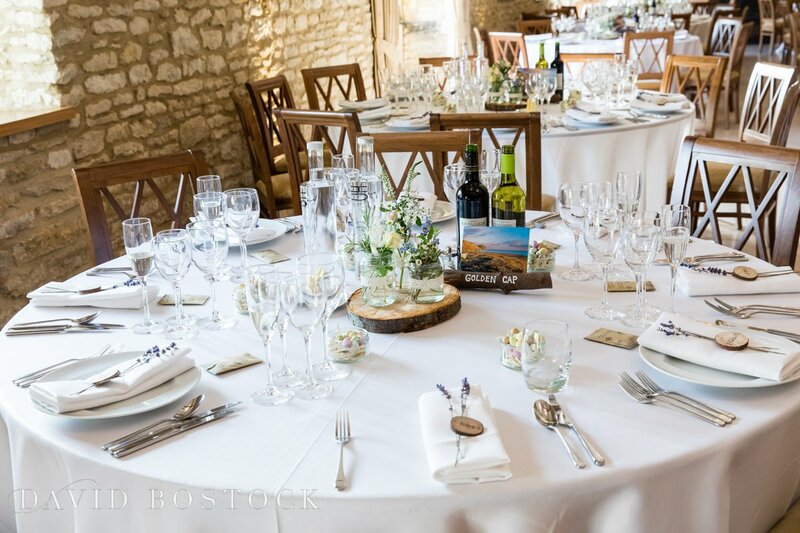 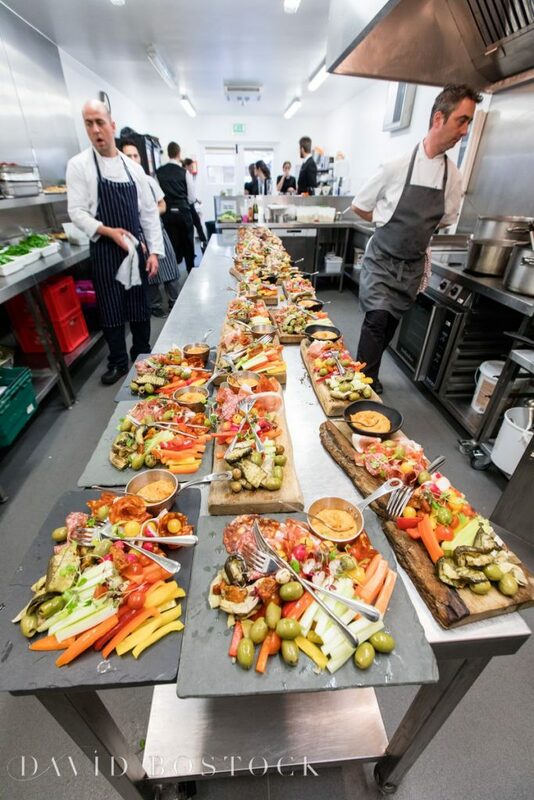 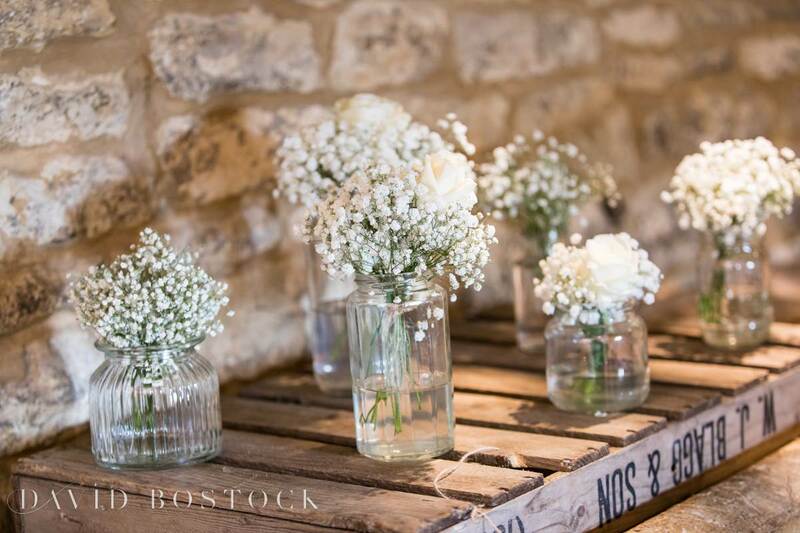 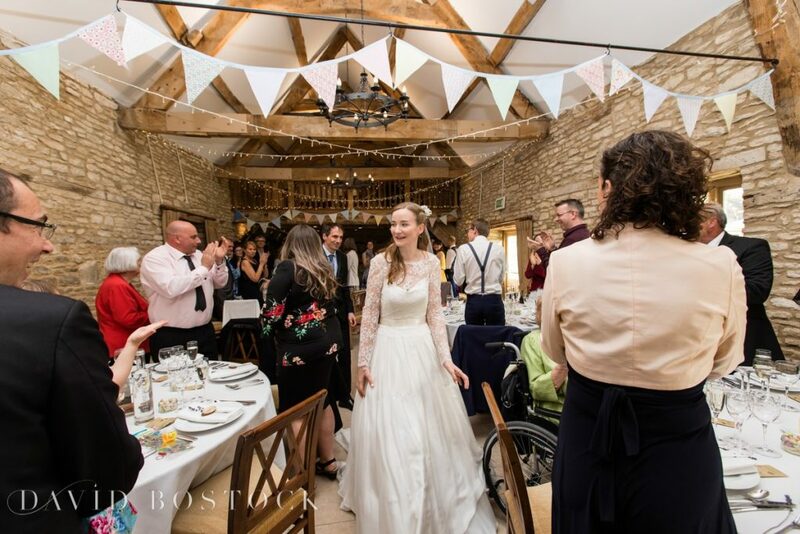 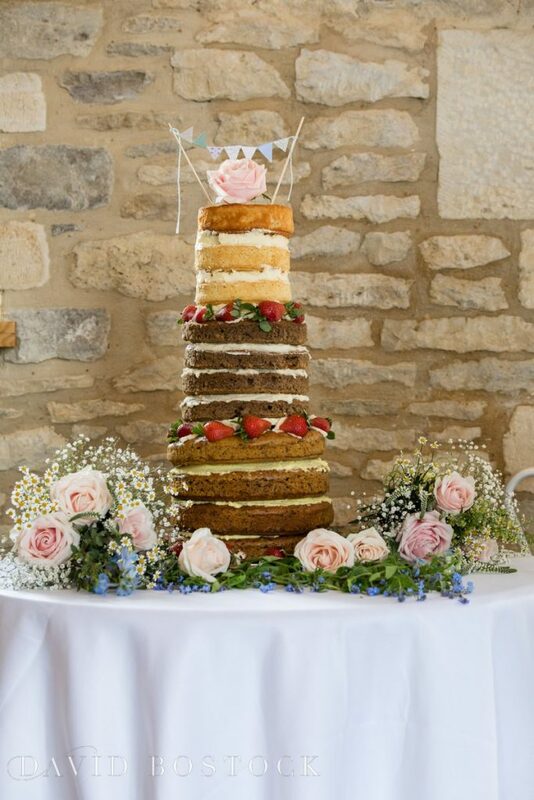 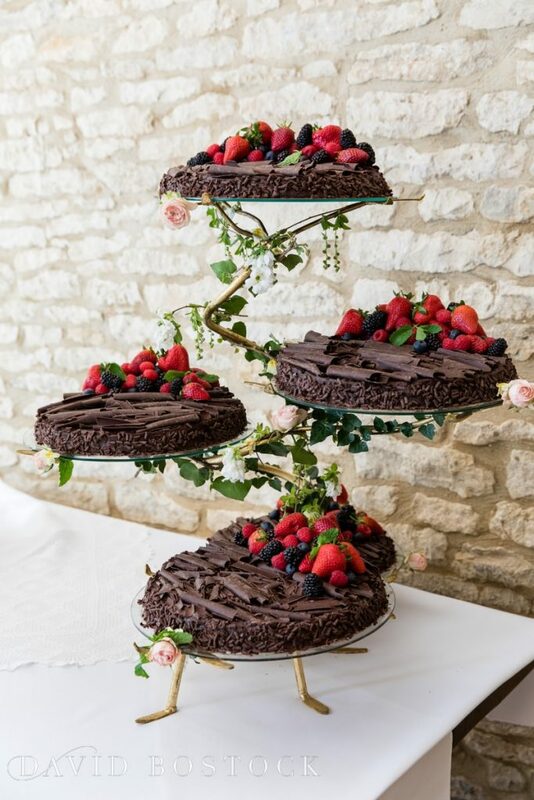 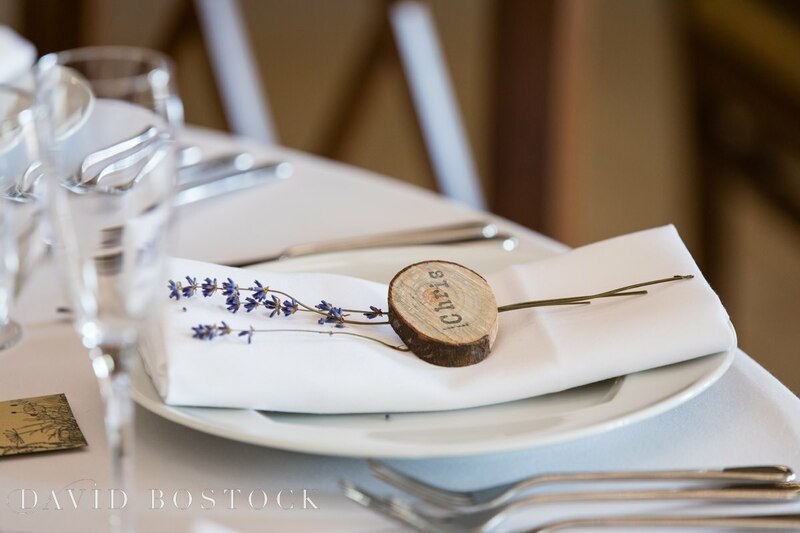 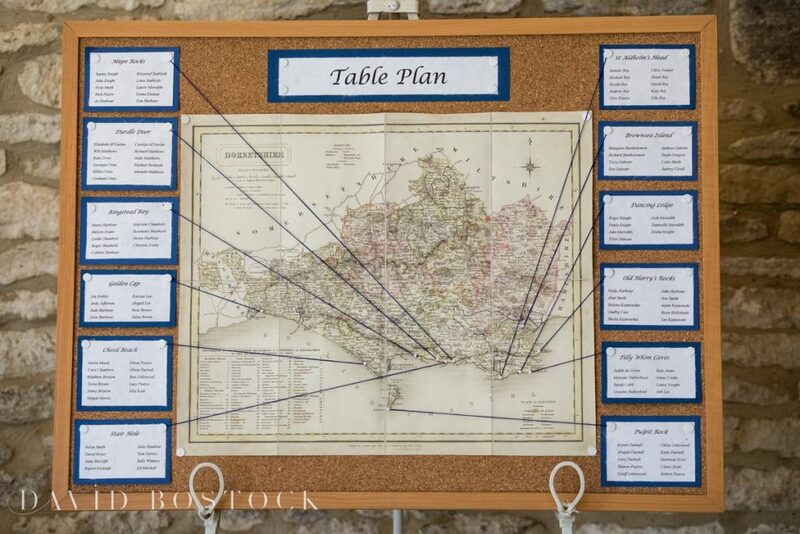 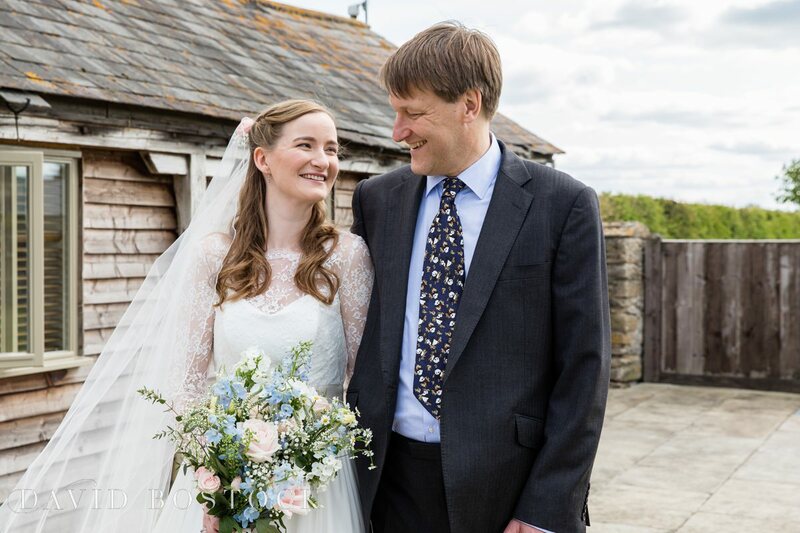 Decorations included wild flowers in rustic jam jars, and a table based on a historic map of Dorset, with table names from their favourite locations such as the stunning natural rock formation of Durdle Door. 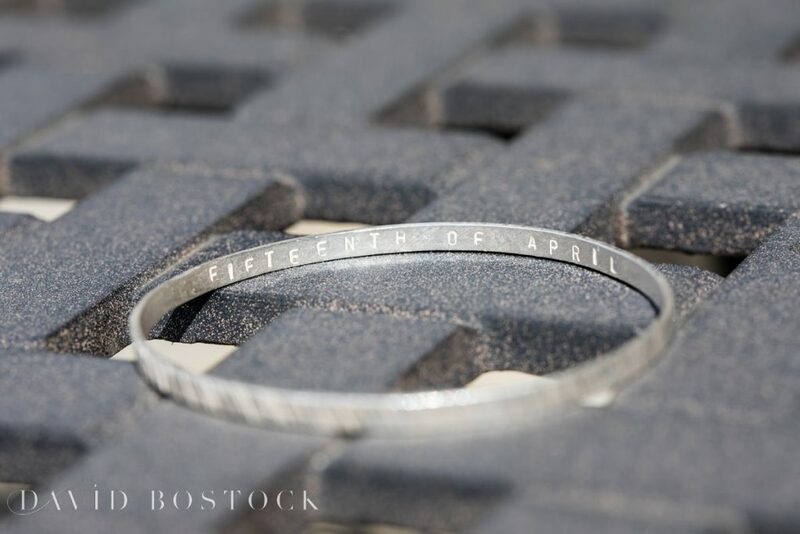 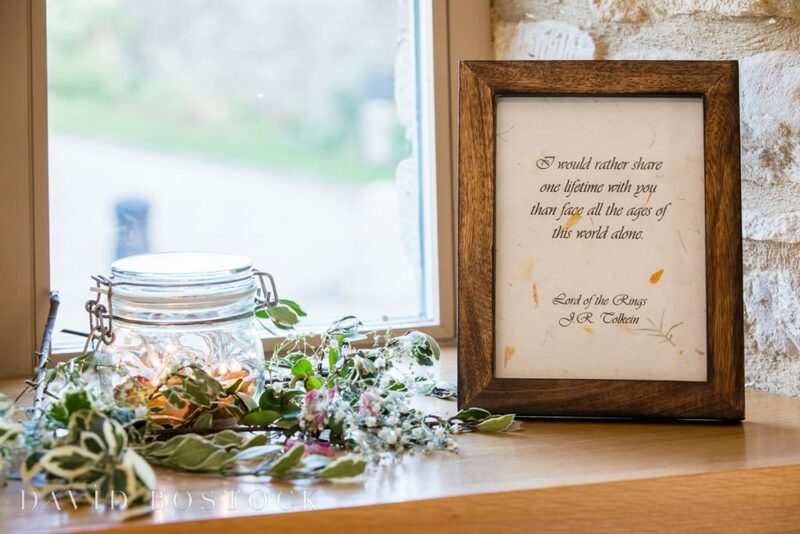 The couple gave out wild flower seeds as favours whilst framed quotes from the couple’s favourite books lined the window sills, including one of my favourites ‘I would rather share one lifetime with you than face all the ages of this world alone’ from Lord of the Rings by JR Tolkein. 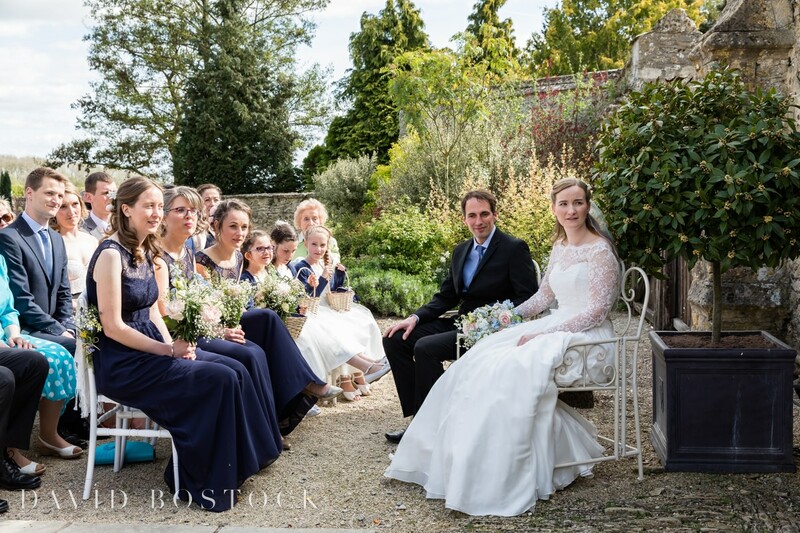 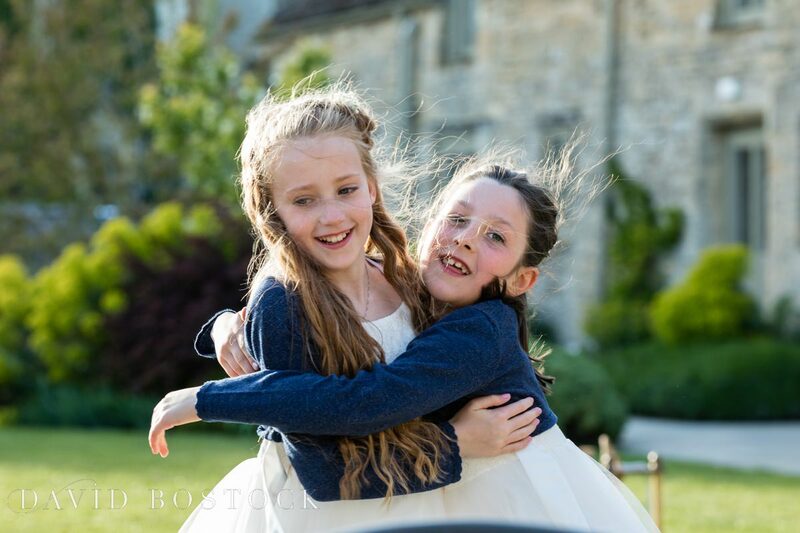 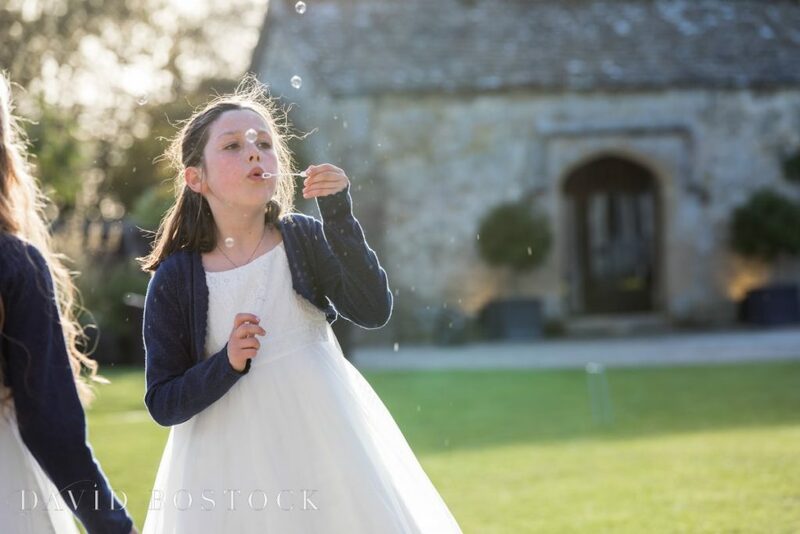 This was a particularly special Caswell House wedding for me to photograph as Sophie is the niece of one of the owners of Caswell House, so a lot of the family I know were there including the two very cute daughters of another of the owners who totally LOVED the camera and made some great images. After the very tasty dinner there was just enough evening light for me to creep outside again with the newlyweds and capture some couple shots around the grounds. 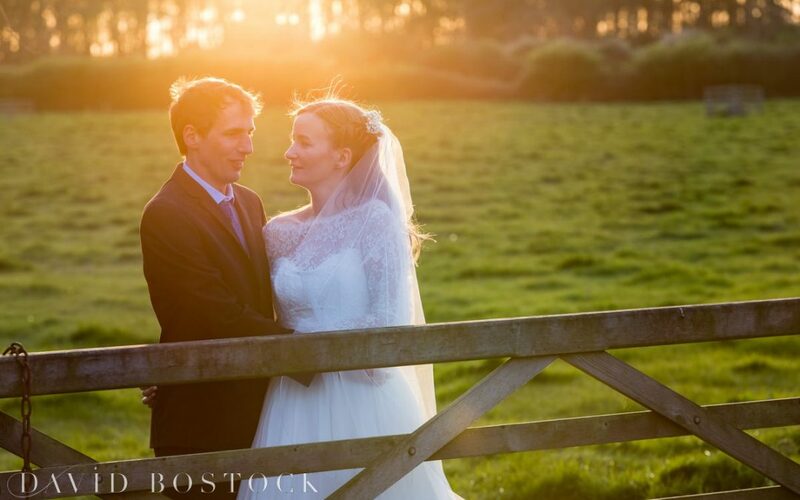 I love the light in the evenings, it’s so soft and warm and although it can be very tricky to capture if you get it right the images can be stunning. 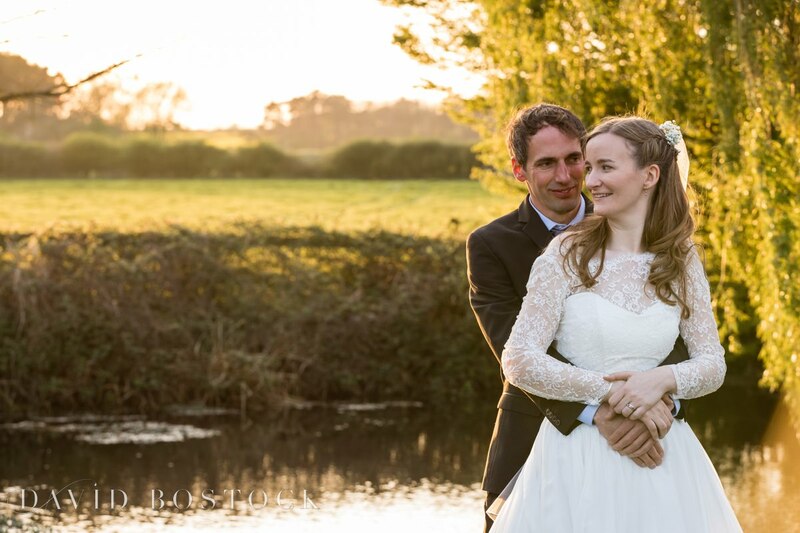 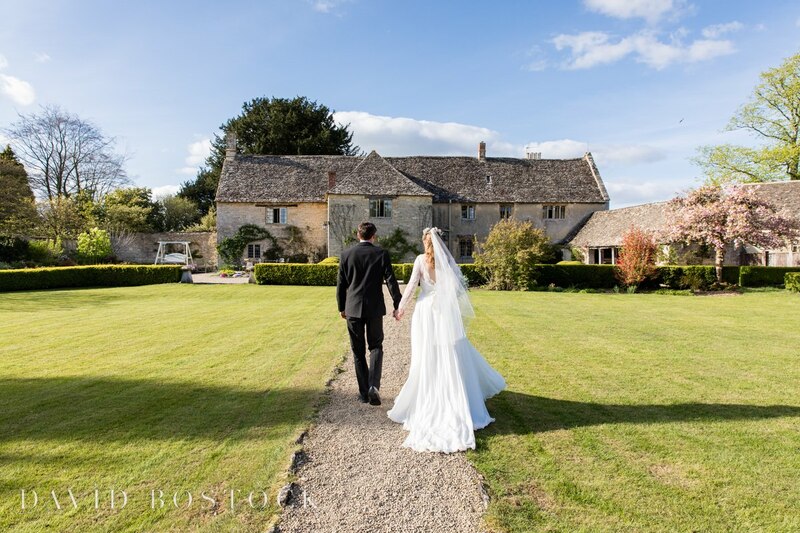 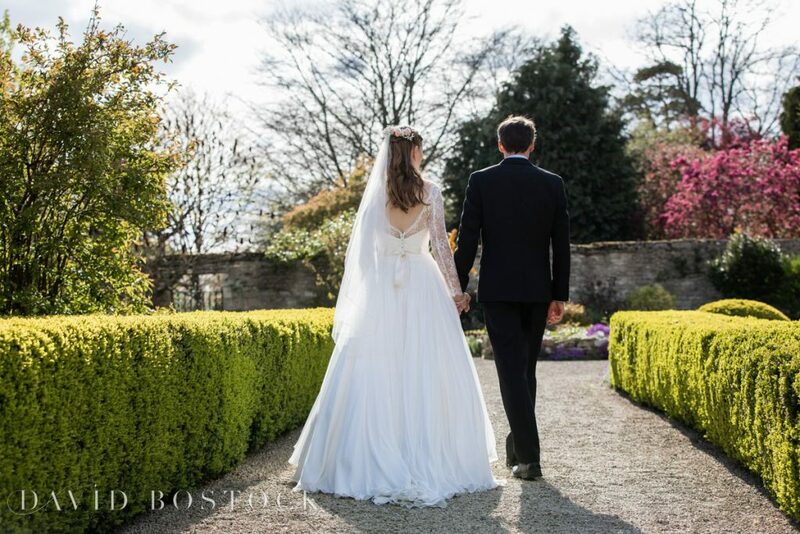 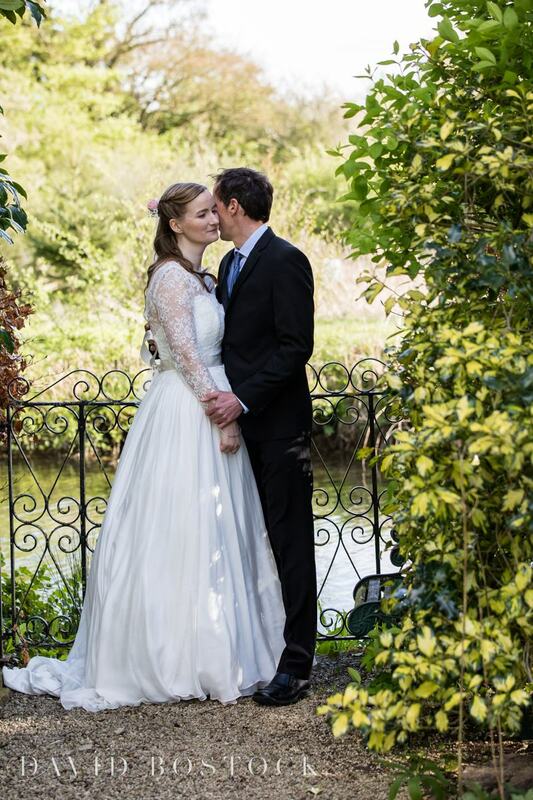 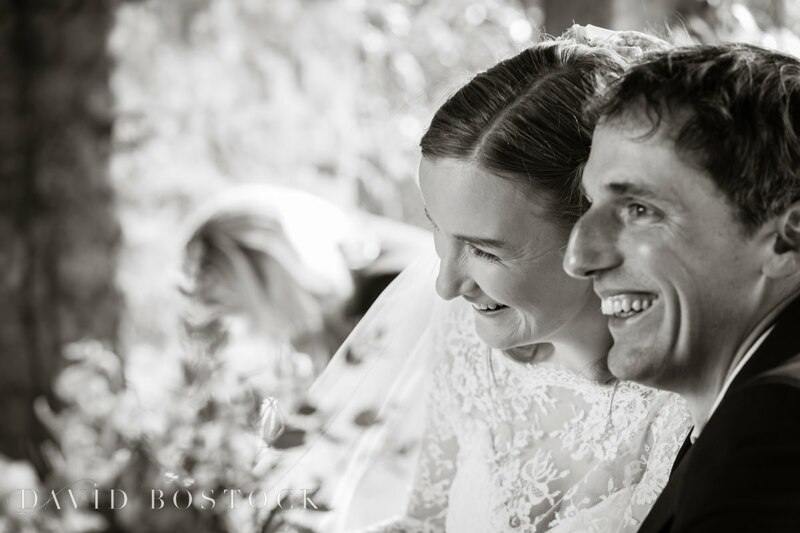 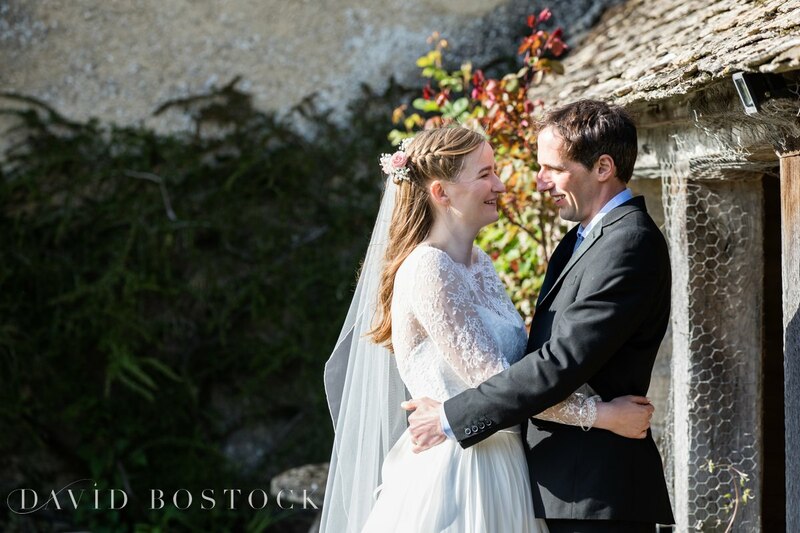 The photos of Sophie and John turned out amazingly, the fresh spring foliage only adding to their romantic feel. 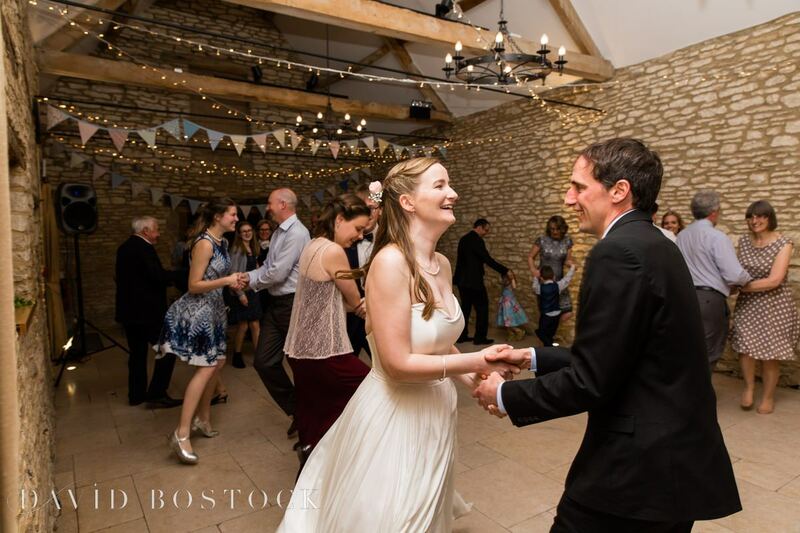 The evening was completed with raucous fun and a ceilidh – everyone was up and dancing having the best time! 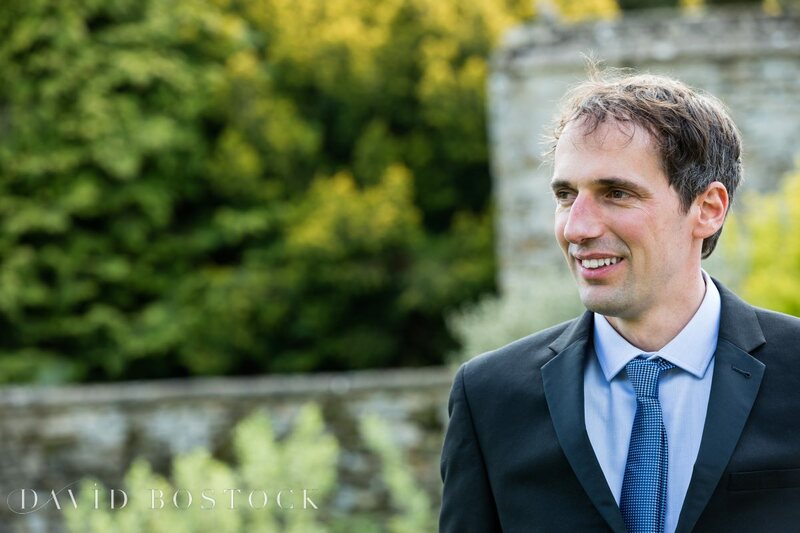 Thanks for your words Robin I really appreciate it!